After leading the Mexican National Team to a pretty decisive 3-1 win over Chile in his debut, Gerardo Tata Martino looks to keep getting El Tri in shape for this Summer´s Gold Cup Tournament. And with the handicap of only having this final Fecha FIFA before June, Martino has to take big advantage of his overseas players. So for most of the fanbase that was against previous Head Coach Juan Carlos Osorio’s rotating of players and hoping it would no longer be the case, I am afraid I have some bad news as it seems Tata will play an entirely different lineup for the Santa Clara venue. Speculation has led many to believe that young upstart goalkeeper, Raul Gudiño, will start the match in Guillermo Ochoa’s place. His defensive lineup would be comprised of Diego Reyes, Miguel Layun, Nestor Araujo and Jorge Reyes and they would be accompanied in the midfield by Jose Juan Vazquez, Jonathan dos Santos and Erick Gutierrez. Finally, Diego Lainez and Isaac Brizuela would be accompanying Javier Hernandez on the offensive side. Speaking of Osorio, their opponent for Tuesday night is Paraguay, a national team that has had quite a bit of controversy over the past few months. This past February former Mexican National Team Head Coach Juan Carlos Osorio resigned from his position of head coach for the Red, White and Blue South American nation, just four months before the upcoming Copa America Tournament to be held in Brazil. The official statement during the press conference a month ago indicated a, “mutual parting” and “family reasons” for the decision being made, which left Argentine coach Eduardo Berizzio at the helm of the Guarani and only three months to prepare for South America’s most important competition. Unfortunately, Berizzio’s debut came this past Friday when Paraguay fell short against Peru with a 0-1 loss. For this game, Berizzio might play with Fernandez, Alonso, Balbuena, Gomez and Club America defender Bruno Valdez as its defense’s leader. Their midfield would include Rojas, Romero and MLS stars Hector Villalba and Miguel Almiron with Derlis Gonzalez and Carlos Gonzalez as forwards. Historically, Mexico and Paraguay have faced each other 19 times, with El Tri garnering 10 victories against Paraguay’s 4, along with five draws. 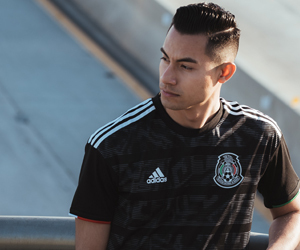 Their most recent game was a Mexican victory 2-1 in a 2017 friendly match in Seattle.